Harsh winter weather can be hard on your deck. 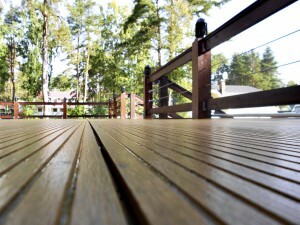 Winterizing a wood deck early is key to preserving it from frigid temperatures and other unpredictable winter weather. By following these steps you will keep your Millersville wood deck beautiful and strong all year long. Your wood deck needs certain protections in the winter. When the leaves start to change color, winter is just around the corner. 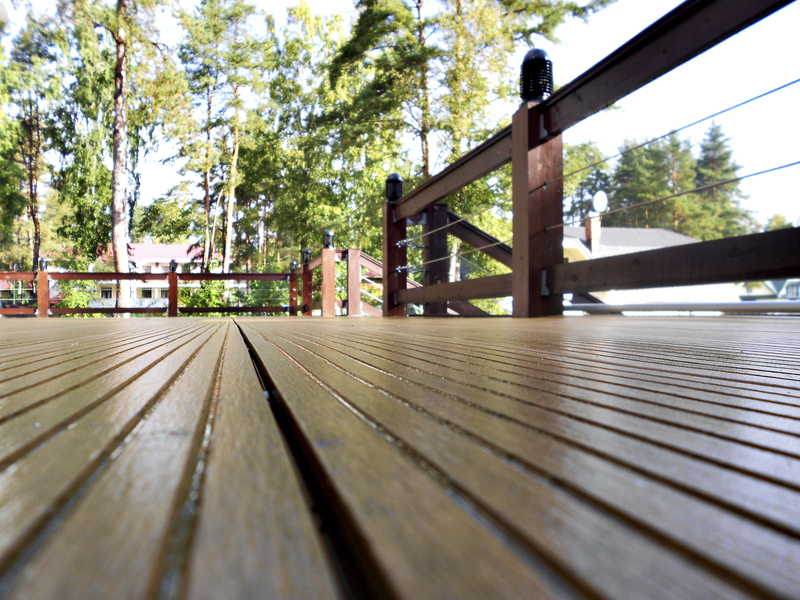 The longer you wait to start protecting a wood deck, the more damage it can face from dropping temperatures. Ice, snow, sleet, and moisture can also pose large problems for the integrity and longevity of your deck, so being proactive about your deck care is highly beneficial. Stains and dirt from regular wear and tear can ruin your deck’s appearance and ultimately cause your deck to degrade if left uncared for. Sun exposure can cause discoloration and moisture can lead to rot and the growth of mold, mildew, moss, and algae. It is important to take care of any of this damage before winterizing a wood deck. Utilizing bleach free cleaners can help life dirt, remove weathered wood, and get rid of mold and mildew stains to help prepare your deck for a new protective coating. After a thorough cleaning apply a water-repellent finish to protect your deck from sleet, snow, and other winter precipitation. Harsh winter weather can cause wood to crack, split, and warp. There are a wide variety of exterior wood finishes to choose from. Each of these will effectively protect your wood deck from harsh weather conditions while allowing you to achieve whatever look you desire. Depending on the product, they can even reflect solar rays to keep your deck cool to the touch and protected from the sun’s rays the following summer. Contact Mid Atlantic Deck & Fence today. On our contact page, you’ll see that you can also request an estimate online at your convenience. You can also keep up with us on Facebook and Twitter!